It’s been a long and busy season for both Atletico Madrid and their Champions League final rivals, Real Madrid. The Spanish champions have met with their city rivals four times this season, which might help us get a better indication of things to come. Overall? Two wins for Real Madrid, one draw and one win for Atletico Madrid, and a 7-3 goal margin in favor of Real. However, both wins came in the Copa Del Rey, while Atletico Madrid beat Real Madrid at the Santiago Bernabeu in the first league encounter while being the better team in the second match at the Vicente Calderon as well. Don’t believe us? Have a look. Diego Costa scored the only goal for Atletico Madrid, signaling their ambitious intentions quite early in the season, beating Real Madrid in the league for the first time in 15 years. This was a vintage Altetico Madrid performance, filled with physical, smart and opportunistic football, allowing Real Madrid to struggle with possession while they made the most of the one big chance they had. Almost a double over Real Madrid, but Atletico, playing much better than their city rivals for a second time this season, couldn’t hold on to a lead they won back. Karim Benzema scored in the third minute, but in one of Real’s weakest performances during a very impressive stretch of 18 league matches without a loss, they couldn’t keep up with Altetico’s pace and aggression. Koke equalized in the 28th minute and Gabi scored in injury time of the first half to send the stadium into rapture, but Cristiano Ronaldo had another one of those awful performances where he has only one actual moment of use, which turned out to be the equalizing goal in the 82nd minute. 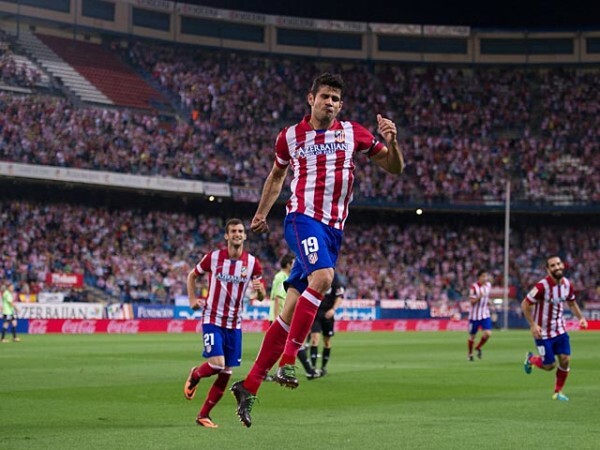 The two teams met in early February in the semifinals of the Copa Del Rey. Altetico Madrid won the competition in the final against Real Madrid nine months earlier, but Real Madrid weren’t just the hottest team in Spain at the time, but probably in Europe. They comfortably won 3-0 in the first leg at home, as Pepe, Jese and Angel di Maria scored the goals, while dominating the second leg as well as Cristiano Ronaldo scored two quick penalties after 16 minutes, making it an impressive 5-0 aggregate win.